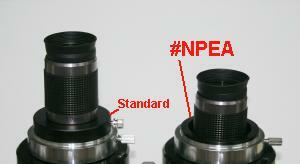 Need more in-focus when using a 1.25" eyepiece or accessory in a 2"
barrel is held securely in the adapter with two rounded tip setscrews. 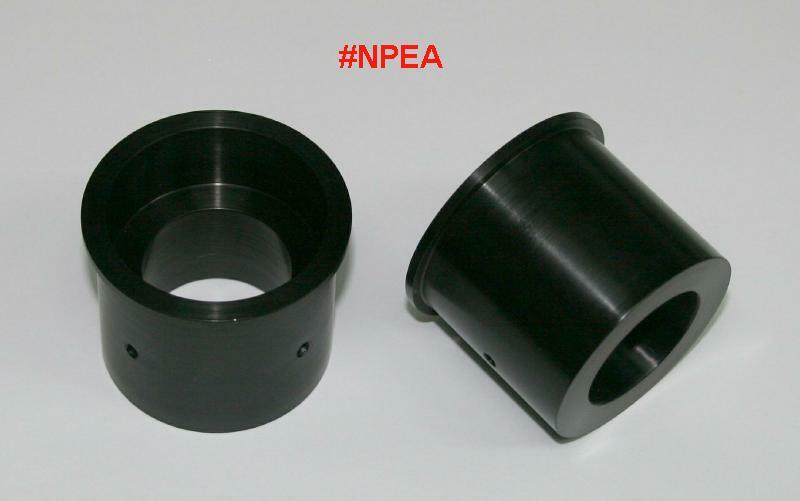 2" barrel is 1.6" deep and has a top flange. Interior diameter is 1.75". 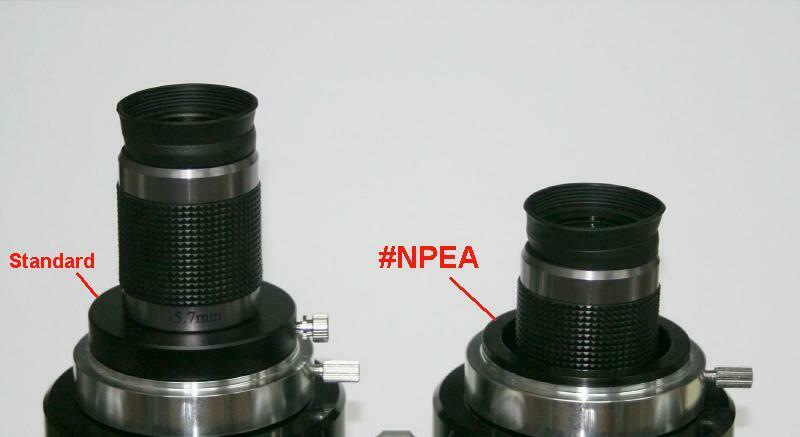 $39.00 each - #NPEA - Negative Profile Eyepiece Adapter, 1.25" to 2"